PremiereHTS is selected as the exclusive manufacturer and licensee for Rawlings to design and sell their exclusive line of theater seating. 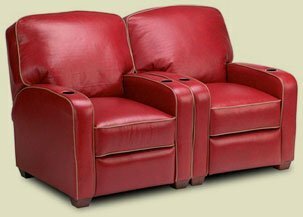 Dec 31, 2007 – Rawlings has partnered with PremiereHTS (“PHTS”) to launch its first line of home theater leather seating/furniture. Through the licensing agreement, PHTS will design, manufacture and market the products under the Rawlings and PremiereHTS brand names. The collection will initially make its debut in home theater designer showrooms throughout the US, beginning in April 2008 with plans to further expand to other retailers, and specialty designers and furniture dealers in the future. As part of the initial product launch, PHTS will introduce the first two recliners intended for home theater under the Grand Slam and Reliever model names. Following its April introduction, PHTS will unveil a flagship model at CEDIA 2008 Denver in September. PHTS and Rawlings will collaborate to identify and evaluate opportunities to offer the collection through additional distribution outlets. Van Nuys, California, (August 25, 2005) — Premiere Home Theatre Surroundings, Inc. a leader in the specialty home theater luxury theater recliner market announced today that they have reached an agreement with the leading systems integration software provider, D-Tools, Inc. to develop Premiere’s most powerful support tool for their website yet – the IDesignSI Online Theater Seating “Configurator”. Similar to D-Tools’ popular system integration software, the IDesignSI Configurator allows users to simply “drag-and-drop” any of Premiere’s luxury theater recliner models as “shapes” into a true-to-scale, dimensionally-accurate graphical workspace. The user can configure a complete ensemble of seating arranged from a variety of combinations based on Premiere’s “rules” for how their chairs go together. In fact, IDesignSI does not allow the user to assemble any seating arrangement incorrectly. The user can customize an entire theater’s seating array based on their own vision of what they would like, with the ability to select an endless variety of design features and accessories for each individual chair, such as fabric or leather materials, cup holders, and motorized recliner options. D-Tools’ IDesignSI Configurator has one more uniquely powerful benefit – behind the scenes of the Configurator is a robust Lead Management Database system allowing Premiere to view any and all Configurator activity along with each user’s contact information and theater design requirements. Each user is “scored” as a highly qualified lead and potential buyer for the purposes of seamlessly handing off these leads to the appropriate, authorized Premiere HTS displaying dealer. In addition, theater seating systems that users create in Premiere’s IDesignSI Configurator can be saved and “exported” directly into a new or existing D-Tools software project file. According to D-Tools president, Adam Stone, “Our software solutions have become the industry standard for integrators who need to design and manage highly complex systems and create bid-winning proposals. This new web-based design tool emulates much of the same system design functionality our software has become famous for.” Though IDesignSI does not include the more advanced business management capabilities that their regular software provides, it offers its users a system building tool that directs or guides them through a logical, simple process based on Premiere’s specific “rules,” making it easy for non-technical users to create their own theater seating designs that turn into sales. Premiere HTS plans on introducing and demonstrating their new IDesignSI Configurator at the CEDIA Expo in Indianapolis, Indiana this September 9 – 11, 2005. Premiere HTS will be exhibiting at booth # 911 in the main convention hall. 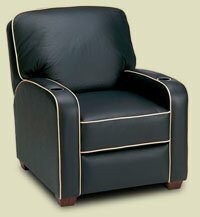 Premiere Home Theatre Surroundings™ manufactures luxury recliner systems and quality furnishings designed especially for Home Theaters and Media Rooms. Their products offer comfort, function and elegant design at an affordable price. Visit them in Booth # 911 at the CEDIA Expo at the downtown Indianapolis Convention Center September 9 – 11, 2005. Visit us on the web at www.premierehts.com. D-Tools is a worldwide leader in easy-to-use, highly accurate system design software. The company, founded in 1998 and based in Concord, California, offers a wide range of products and services created to simplify the complicated design, engineering, documentation and estimating processes that accompany residential and commercial installation projects of any size. D-Tools is the recipient of the Consumer Electronics Association’s Mark of Excellence Award (2004, 2005), National Systems Contractors Association and Sound and Video Contractor’s Innovations in Technology for Business Productivity Award (2004, 2005) and CE Pro’s High Impact Award for Design Software. Satisfaction Report, which they publish in their monthly newsletter read by the consumer electronics industry. When it comes to reporting, this “no holds barred” industry publication is known for their brutal honesty! become a total home theater solutions provider — earning Premiere HTS the well-deserved reputation as the preferred choice in the home theater seating category. Agoura Hills, CA – Premiere Home Theatre Surroundings announced the expansion of their best-selling MovieLounger™ product line with the addition of the LoneStar and Matinee luxury recliners. Both models boast Premiere HTS’ recent advancements in styling, comfort and craftsmanship. LoneStar is the perfect compliment to those country and western themed home theaters. Representing a collaborative effort between PremiereHTS, sales reps and interior designers, LoneStar incorporates the flexibility of Premiere HTS’ wall-hugger design with the comfort and styling esthetics of the company’s luxurious Rialto MovieLounger™. Both LoneStar and Matinee incorporate PremiereHTS’ new fuller lumbar-support system, which provides heightened comfort and reduces lower-back fatigue. Suggested retail pricing for LoneStar and Matinee in hand-selected Italian leather starts at $1,895 and $1,795 respectively. Additional options include Premiere HTS’ luxurious CineSuede™ micro fiber fabrics, multiple seating configurations and a motorized recline mechanism (LoneStar only). PremiereHTS will also be providing a sneak preview of their new 2004 Monaco design, which features innovations never before seen in the home theater seating industry.